Two days in this city, and we could stay so much longer, but tomorrow is the day to take off again. Two days of R&R for us, with zero tourist activity. 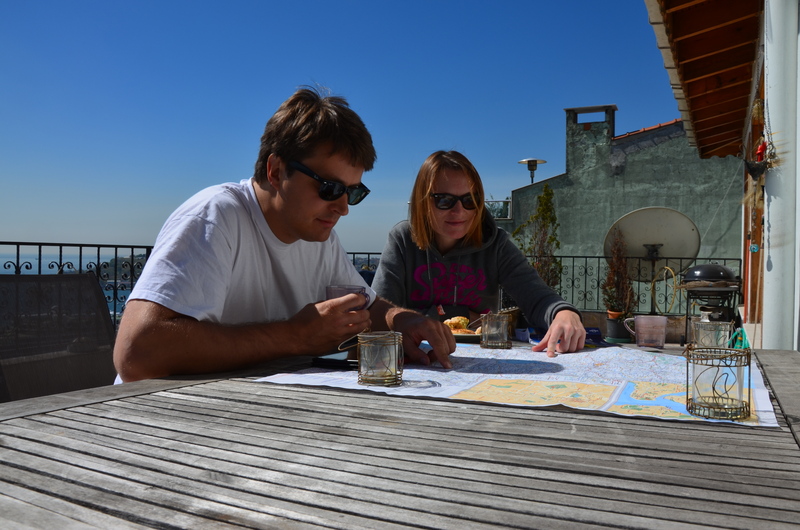 We spent the mornings chilling on the terrace overlooking the Bosphorus, reading, writing, planning the next stops. We refreshed our equipment. The bags somehow are getting smaller, we can see out of the rear window of the car again. Talking about the car, our rooftop rack has a new cover! We’ll need it when we have to take the obligatory guide on board in Turkmenistan in 3 weeks and will have to make room in the car. Yesterday, Onur found a Rover dealer and service center. We went to see them, but they sent us with their driver to tour the Maslak car district, an entire neighbourhood dedicated to mechanics, dealers, tyre shops, accessories stores, workshops, car tuners. It took us over 1h to finally find a shop that could make a cover like we wanted, since nobody had something like this. Our Turkish language skills consist of a couple of words Helena has learned in Berlin, so it was quite a challenge to communicate with Cinggis from Folyocars. Until we met Orhan, a Range Rover owner that happened to be there and spoke english, and facilitated communication. We somehow explained what we wanted, left them the rack and spare tyre. Today the cover was finished, we went back to the car district, spent 30 mins trying to find Folyocars again, and then finally picked up the masterpiece. It covers 2 spare tyres, 2 diesel tanks, 2 big bags and probably also quite a few sixpacks of water or so. We’ll post pics once the cover gets to action. It was great to see though that in all this we had to trust several people, with the exception of Onur all complete strangers, that we barely understood. We left them equipment worth quite some money without any guarantee. And everything went smooth, everybody was super-friendly and helpful and relaxed. After all the fear and warnings we received before starting our trip we were quite paranoid, these episodes get you more relaxed, and are a strong proof that there are a lot of decent people out there that we will meet in this journey. But enough of car stories. We also have been eating quite a lot. 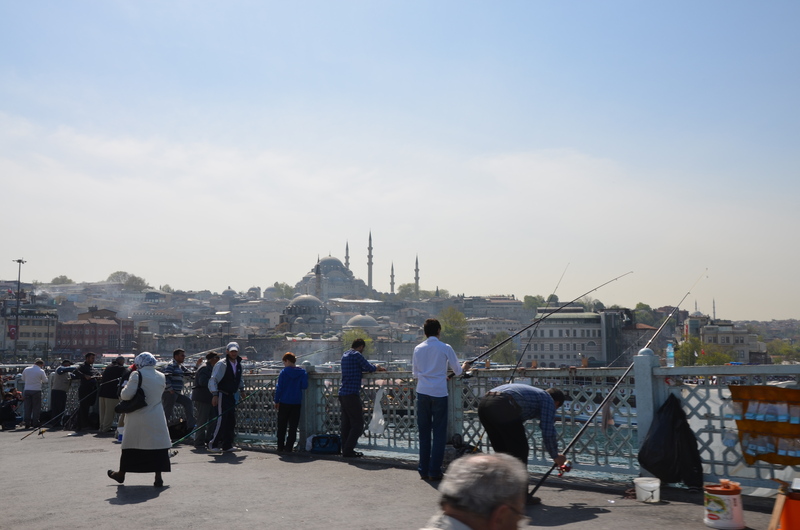 We will add a page to this blog these days with all the places where we had great food during this adventure, and Istanbul has some on the list. Today at lunch we went to Hamdi Restaurant, a place we tested on our last stay in Istanbul. Great food, great view, great service (incl. valet parking in an impossibly crowded square). 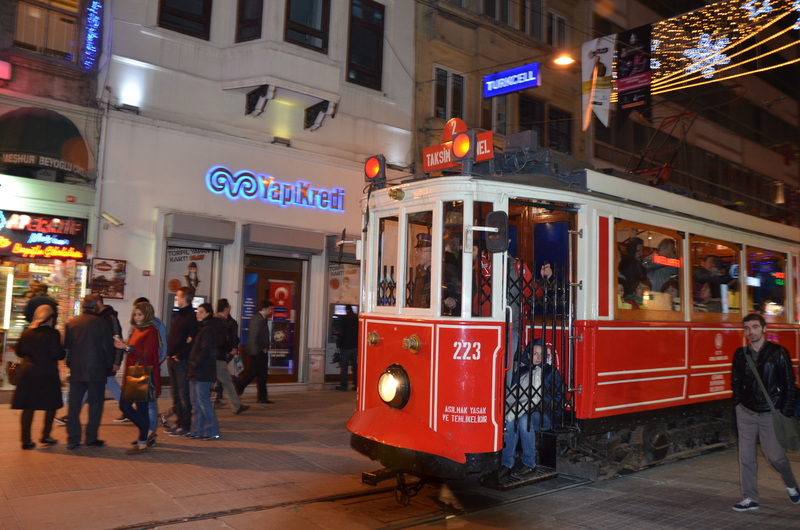 But also the Tatumi and Kebap places in Cihangir are great, simple but tasty food. And of course we went shopping on Istiklal Cd. Now it’s time to rest, pack, prepare the day of tomorrow. Once we cross the Bosphorus Bridge, we’ll be in unknown territory. Good night. The second week of travelling just started with a coffee overlooking the Bosphorus. From the terrace of our friend’s apartment (gracias Almu por la hospitalidad!) 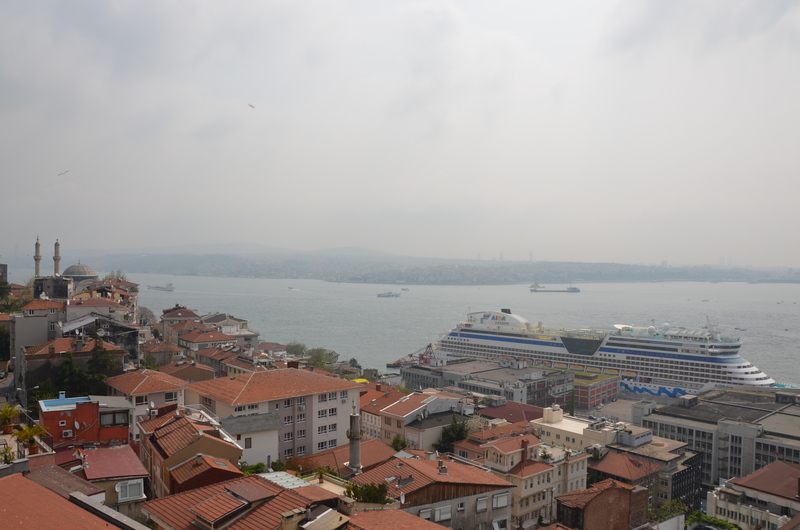 it is a breathtaking view from Beyoglu to the old town on the European side and Kadiköy on the Asian side. A morning coffee with such a view is something special and sweetens your day. For a fraction of a second I think about the monday mornings in my former company, the conference calls, the early flights, the friendly emails that made your day start the wrong way in the first minutes of your morning – but just for a fraction of a second, because the view here takes all the attention. It’s better this way. This first week of travelling was all about getting away from know territory, crossing Europe. We drove fast through countries we mostly knew: Spain, France, Italy, Slovenia, Croatia, Bosnia, Serbia, Bulgaria. On the road we had no problems travelling, everything went smooth. We were online on the road in half the countries, booked our hotels from the road. Motorways were mostly OK, frontiers if still existent were crossed with a smile an our IDs. Every country has a few strange moments, but in general if feels like one place. Europe. Bosnia is the one place that is a bit different, because of the scars of the war. It reminds you that before the EU invading and killing each other was a regular sport among European countries. It also makes nationalism look so ridiculous and narrow minded, so yesterday. On my way from France to Germany some weeks ago I had a similar thought. From the Marne to Verdun and the Ardennes the country is littered with cemeteries and memorials. So, love Europe guys! Peace, free travelling, getting together, prosperity. We’re all so close and similar to each other, much more then we might think in day to day life. When we entered Turkey yesterday we had the first experience of how the “old world” of frontiers and differences was. We spent 1 hour to get out of Bulgaria and into Turkey, paperwork, seals, queuing, grim faces of officials who enjoy the power they have while controlling travellers. On the Bulgarian side we were lucky to have a German trainer of the frontier police helping the Bulgarian lady checking our documents. We could explain him our situation in a known language, he understood us and let us through. How will we handle these situation once the language and cultural barrier is there? Ahead of us many more frontiers are waiting for us that will make this one seem a joke probably. Once in Turkey you don’t actually feel any difference. We drove for 1 hour to get into the center of this metropolis, Istanbul. The urban area is huge, so are the motorways, traffic is tough, the city lights are fantastic. It’s the biggest city on our trip so far, the first milestone on our journey, the last stop in Europe before crossing into Asia. But it is also the last city we know from here to Bangkok. We know our way around, with the car through the city, but also through the alleys of Beyoglu to find a great Tantuni and Ayran dinner late on a sunday night. 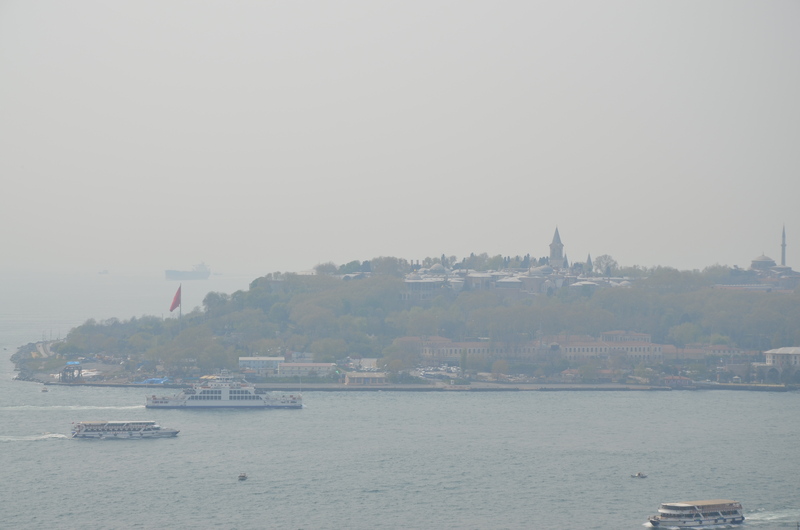 Since the first time I came here with my father many years ago I’ve been fascinated by Istanbul. We now have two days to relax, see the town again, sleep (driving every day is quite exhausting…), buy some equipment. But also to enjoy the last piece of known territory before the real adventure starts. We wake up in a nice, spacious hotel room with the charm of past decades… and a socialist touch to it. Due to a late night and a time change (+1h) we have missed breakfast time. No problem – the reception lady organized us a coffe & sadnwiches, a nice gesture. 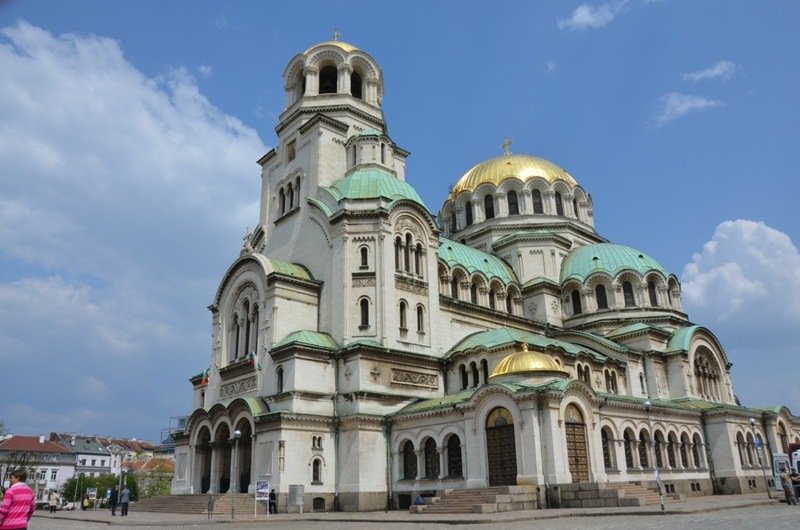 It was the very first time for both of us in Sofia, but considering the fact that this will be the only city we will see again on our trip back from Vladivostok, we have reduced the sightseeing to the famous Alexander Nevsky Cathedral. This is beautiful church, dedicated to the soldiers who left their lives in the liberation of Bulgaria from the Ottoman Empire. 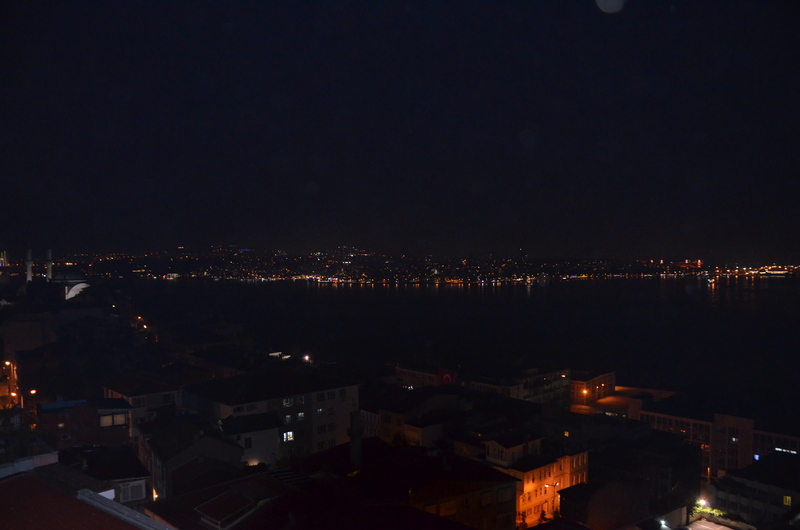 I got inspired to light a candle, we took some pictures outside and than the tour continued, 435km towards Istanbul. 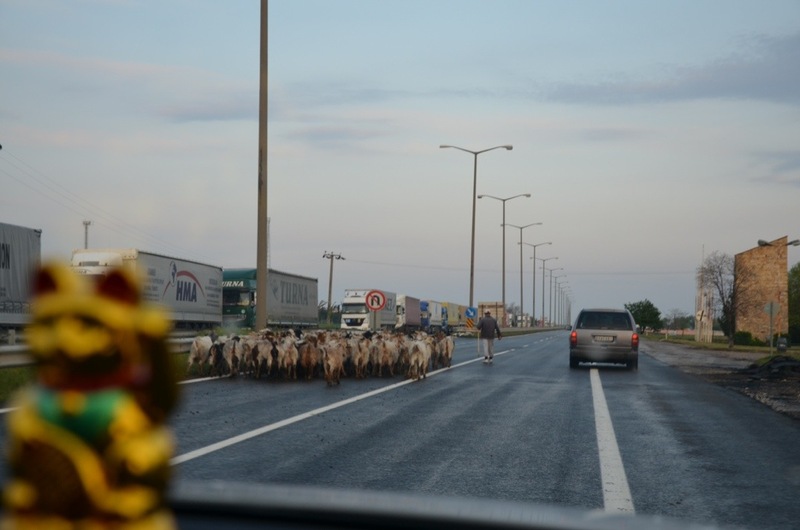 At the Bulgarian-Turkish border we waited 1h – what a bliss. As far as we could see that, the people on the bordeer were from Turkey, Serbia and Romania – and us. When the guy on the Turkish side approached us for the car inspection, I wish you could have seen his face! And then the question: any bombs, weapons or drugs with you??? No, just camping stuff! The turkish motorway was in great shape, 3 lines led us smoothly to Istanbul, where we will spend 2 days at friends place (thanks Almu!). Such an interesting, fascinating city. 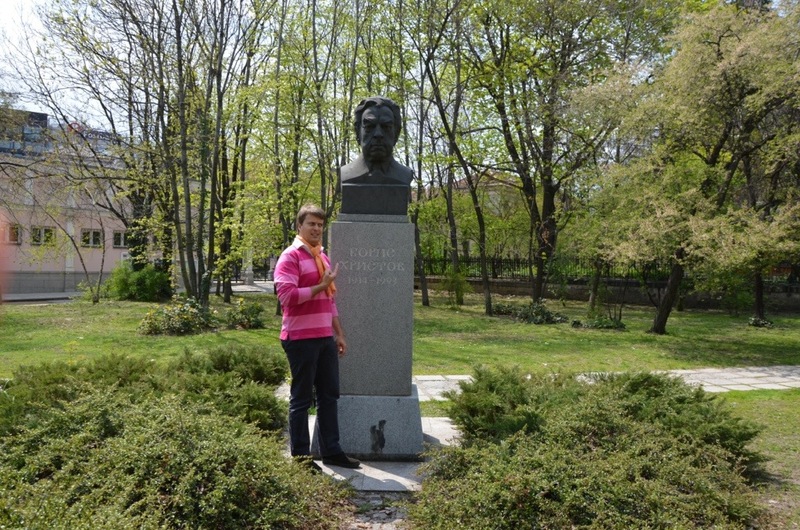 It is 4th time for me and for Boris to come back here, and we will certainly always be coming back. 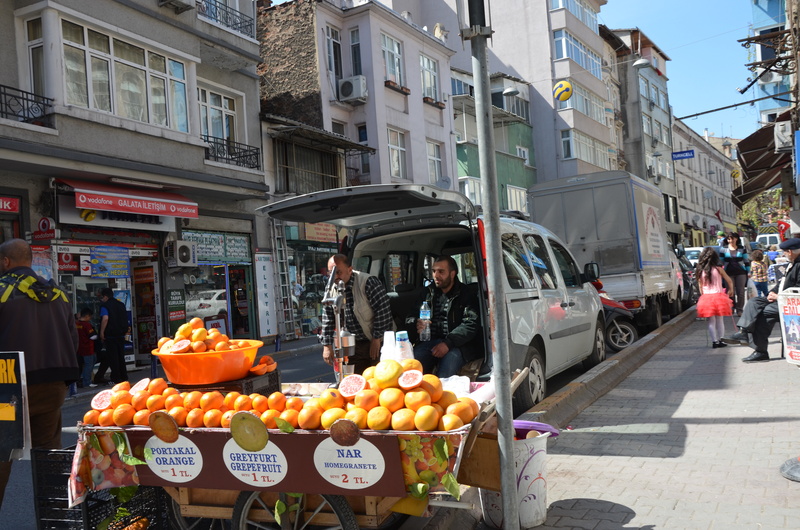 The drivers got crazier the closer we got to Istanbul – the usual big city traffic. I was very happy we managed to getto the Taksim Square without geting really lost. And we managed to find our friends place without the gps. 😉 hey, i mean that surelly is something! Finally, after we settled down we went for a food discovery – I wanted to show Boris a small, nice place whith a delicously fresh and tasty tantuni, that almu showed me 2 years ago. Mmmmh, we were thrilled. Of course we had to add some baklava to it and then back home. Tomorrow we will see more of this beautiful city.